Nick Heller likes nothing more than being underestimated by an opponent. He’s self-deprecating, irreverent, a man who can’t stand pretense. Or bullies. He really doesn’t like being lied to — and no one’s more loyal. After serving in the Special Forces in undisclosed locations, doing things he’s not allowed to talk about, he became a “private spy.” Now he’s got his own boutique international investigation firm in his hometown of Boston. And as some very bad people are about to learn, he never, ever gives up. "Joseph Finder has once again provided his readers with a first-rate crime thriller... he knows the value of careful construction, exhaustive research, good writing and characterization that all adds up to quite a fast read." "Everyone’s favorite private spy, Nick Heller, is back... Smooth prose, good action, well-paced, and just a fun story. A real pleasure to read from beginning to end." "GUILTY MINDS excites and intrigues, and is the kind of book that can be digested in a single sitting. 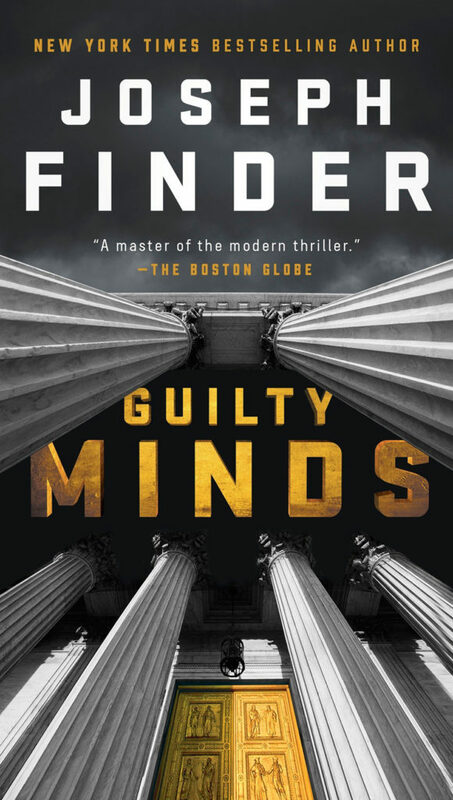 If Finder’s not already on your reading list, GUILTY MINDS demonstrates what the author has to offer: page-turning excellence." If you believe scientific studies, we all lie, several times a day. Can’t help ourselves. Sure, white lies are the grease that keeps the social engines running. But lies—real lies—are the source of all trouble. My job is really nothing more than figuring out who’s lying and why, and to catch them at it. That’s all there is to it.